Combine all of the ingredients for the marinade in a bowl and stir. 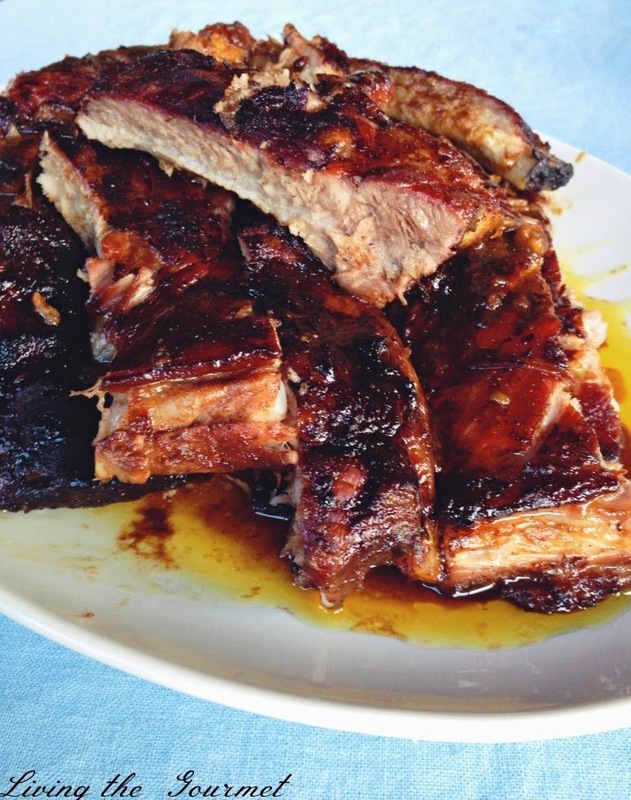 Place ribs in the marinade and refrigerate for at least one hour or more or up to overnight. Place the ribs in a roasting pan with the marinade. Bake uncovered for 2 – 2 ½ hours or until the ribs are fall off the bone tender. Allow the marinade to evaporate in the cooking process. Let the ribs cool slightly; then separate the ribs with a cooking scissor and plate.